The history of trying to deal with destructive pest-fish species on large spatial scales has to date been ineffective with the problem likely to grow more severe around the world in the future. Genetic approaches could revolutionize the management of such pests but are subject to a range of technical, behavioural and ecological limitations and may face the challenge of public acceptability. Our work on Gambusia holbrooki a pest fish of concern to Australia, takes a systematic approach of evaluating feasibility, assessing public acceptance and making technical advances on Trojan Y as a suitable genetic control option. Using a prototype generic model that incorporates both genetic and population dynamic determinants for the control of gonochoristic, bisexual vertebrate pests we show that the Trojan Y is not only the most effective—about 10 and 20 times more effective compared to a closest gender distorting recombinant approach in terms of time to eradication and cost for total eradication respectively—but also one that remains environmentally benign and socially more acceptable. 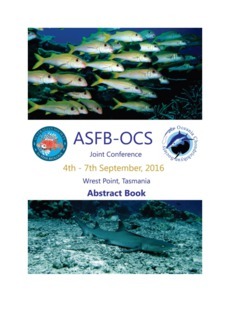 Evaluation of behavioural tradeoffs, parametrisation of a model that is specific to a field site in Tasmania, design of a management strategy for evaluation, and generation of population and genetic tools for assessing the progress of introgression and eradication are underway and will be discussed.